In case you haven’t seen them yet here are the results from the Sheffield Constituencies. In Sheffield Central Jillian Creasy came second behind Labour with 16% of the vote. 6999 votes was a massive 12% improvement in our vote share. A massive thanks go out to everyone who worked so hard for this campaign which establishes us as the opposition to Labour in Sheffield Central. In Sheffield Hallam Peter Garbutt polled 1772 votes (3%). Here we were squeezed, with many people voting tactically to try to unseat Nick Clegg. 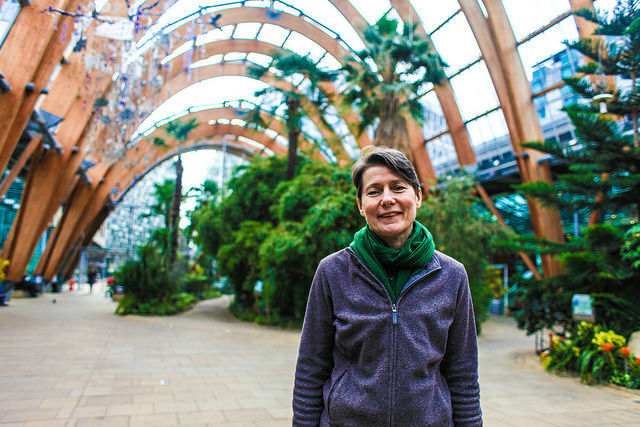 In Sheffield Brightside and Hillsborough Christina Gilligan Kubo came 4th with 1712 votes (4.3%). In Sheffield Heeley Rita Wilcock came 5th with 2566 votes (6.1%) saving her deposit. Throughout the country we polled more than a million votes and retained Brighton Pavilion where Caroline Lucas increased her majority by 11%. The local election count is this afternoon and results will be appearing here when they are released.